We estimate it takes 5 hours to write a topic and obtain images. Authors typically work on one topic at a time and only those confirmed by us. After confirmation, we will email you a Word document of the topic as it currently exists along with our procedures. Please email the completed topic to us for review. We will return it with a list of necessary changes, Our Editor-in-Chief and Editorial Board will then review. If you do send us more than one topic, we will hold the other submissions until the first topic has gone through the editing process and is published online. This way, you can apply any formatting changes that are needed to all further topics prior to submission. Write using bullet points and concise phrases. If you use sub bullets, be consistent in the indentation of the sub bullets so it is clear for the editorial staff. This disease affects males and females equally. Approximately 10% of patients with this disease have clinical symptoms of fever and pain. Abbreviations should be written out the first time used and then use the abbreviation throughout the rest of the topic. You do not need to define: CT, DNA, FISH, HIV, IHC, PCR, RNA, PSA. 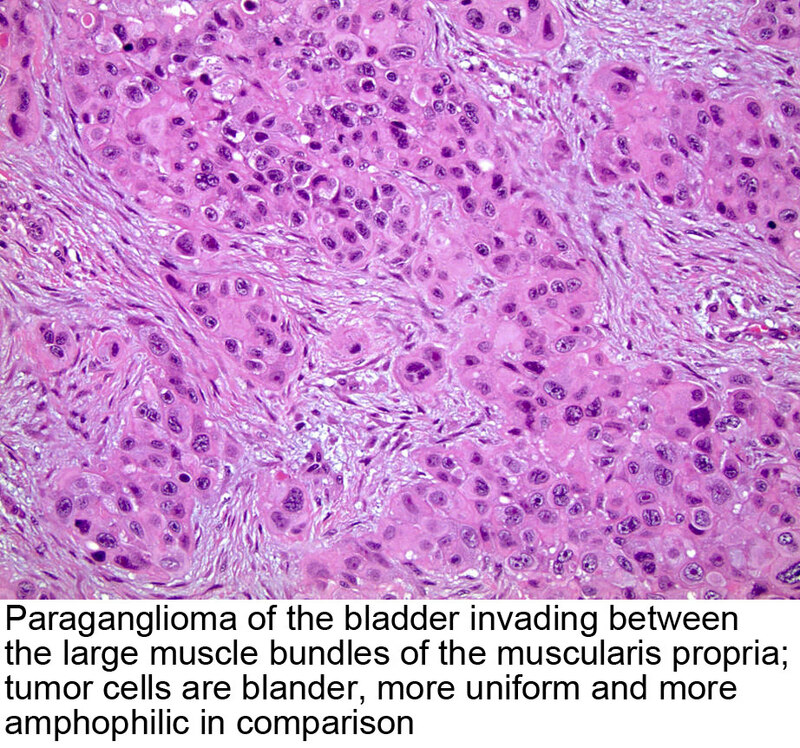 Ensure that the topic contains material necessary for, or of interest to practicing pathologists. You must provide your own micro images. We no longer allow links to outside micro images. 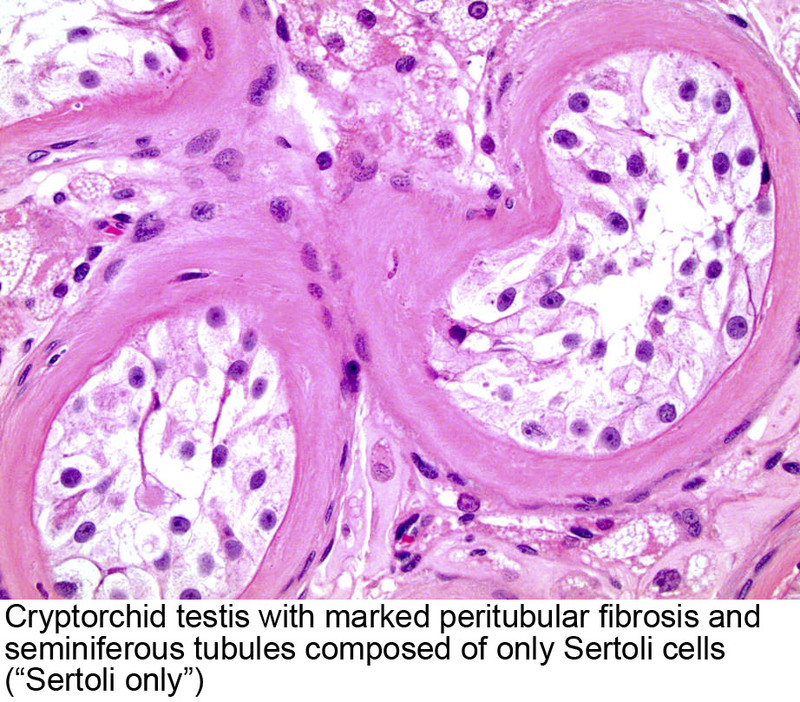 You must include several H&E images (JPG, GIF, PNG or TIFF format, 600 KB+, 1000 to 1600 pixels in height or width) demonstrating all important histologic features including low and high power and relevant immunostains. Each image should be 1 individual picture, not a composite, so it can be easily viewed and used. Images should be submitted as you would for a textbook, in which pertinent clinical history is a part of the figure legend. Do not submit groups of pictures as interesting cases or unknown cases. Do not include your name, twitter handle or institution on the image. For each image, submit both a caption and a figure legend in a word document. 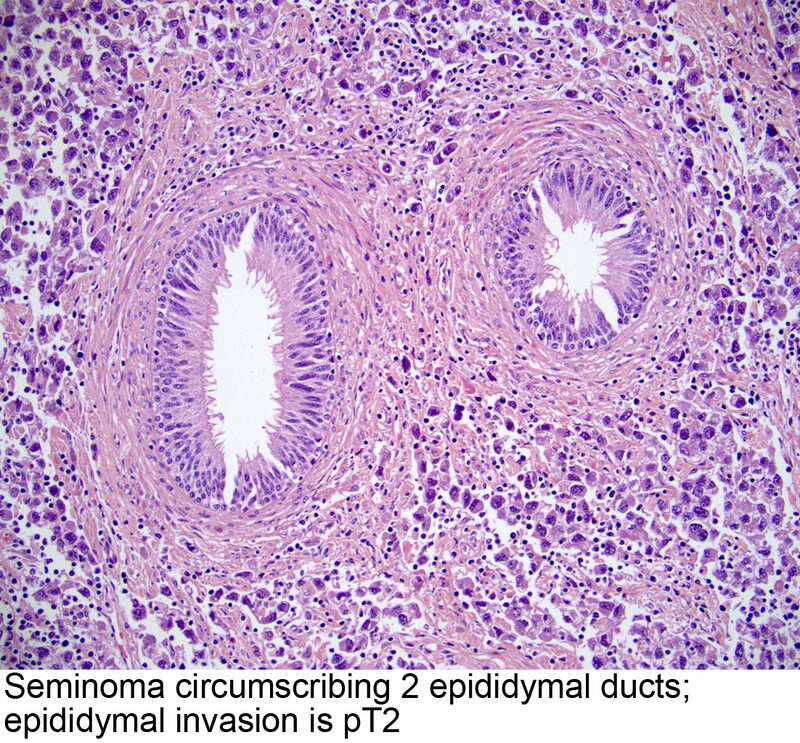 The caption should be 1-4 words which describe the image findings, such as "cytologic atypia", "chronic inflammation" or "epithelioid cells." Do not use captions such as "Case 1", "Representative images", "H&E", "100x" or the diagnosis. 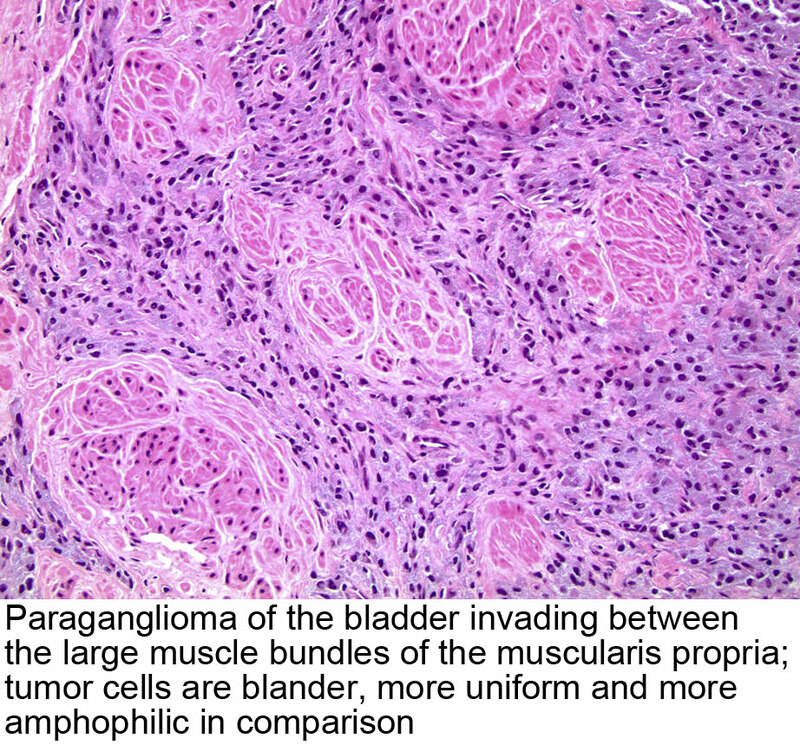 The figure legend will appear when the image is open and must contain all relevant information including site, diagnosis and key histologic findings. Do not use figure legends such as "Case 1" or "Representative images". We will remove all existing outside micro images. Websites useful for virtual slides include: vMic, University of Illinois at Urbana-Champaign and University of Leeds. Click here for a great resource by Dr. Eric Glassy on creating photomicrographs from whole slide images or other sources on the web that does not violate copyright law. References: topics should have 5+ journal references and preferably 10. 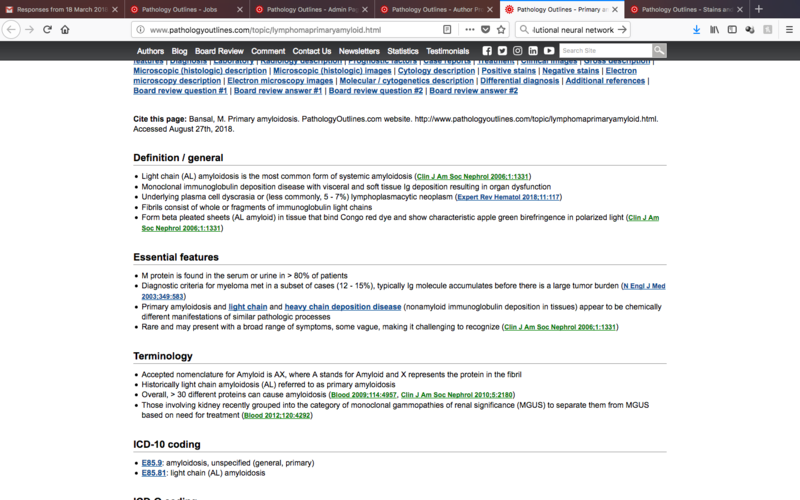 Authors should do a literature search of PubMed for articles. References should be from journals published in English and most should be from within the past 5 years. References should refer to the primary report that describes the finding, not to a case report that cites this primary report. Examples of preferred pathology journals are Am J Surg Pathol, Am J Clin Pathol, Arch Pathol Lab Med, Hum Pathol, Histopath, Mod Pathol and Virchows Archiv. Please insert the PMID number for each reference after the text that it is supporting. Example: 30% present with advanced disease. PMID 27053535. For rare topics we prefer some citations, even if older or in a foreign language. Results from a study or anything not general knowledge should have a reference. WHO books, textbooks or websites should be used sparingly as references, and only if they define histologic variants, grading, a newly recognized entity or contain information not in a journal. For case report citations, we prefer journals with free full text in English from the past 5 years. Author names appear on topics and chapters with links to our Authors page, which lists topics completed per author. We pay $50 per topic completed, but only after 3 topics have been completed. Our only payment options are check (payable to the author, US / Canada only), PayPal (sent to any email account), Amazon gift card or payment declined. We send payments each December or earlier if you are done writing. We issue a 1099 form in February to US residents who received $600 or more in the prior calendar year.